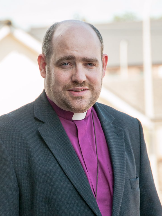 Bishop Harold said: ‘I am very pleased to welcome Bishop Darren back to the diocese of Down & Dromore. Please pray for him, his wife Karen and his son Liam, as they prepare to move. I know that Darren will be greatly used by God in his new ministry in Rostrevor & Warrenpoint’.